Puzzle Park was an extremely popular Adelaide amusement park in the later years of the last century. On its better days it attracted 3,000 visitors. 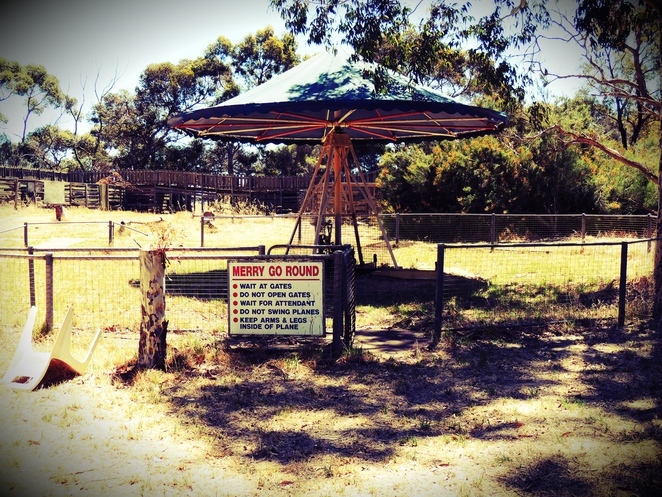 While it would never compete with Disneyland or Gold Coast theme parks, its rides and other activities were loved by local children for years. 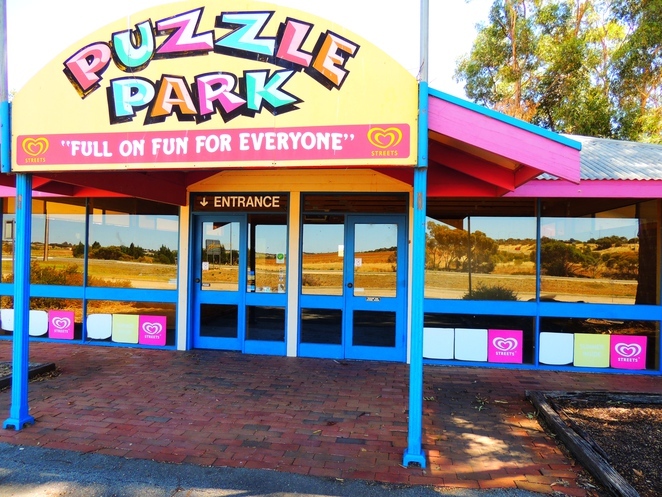 Despite being based near Murray Bridge, Puzzle Park drew large crowds to their varied attractions. But in the early years of the new century disaster struck. The public liability insurance crisis changed our lives in many ways, and adventure parks were just some of the many casualties. 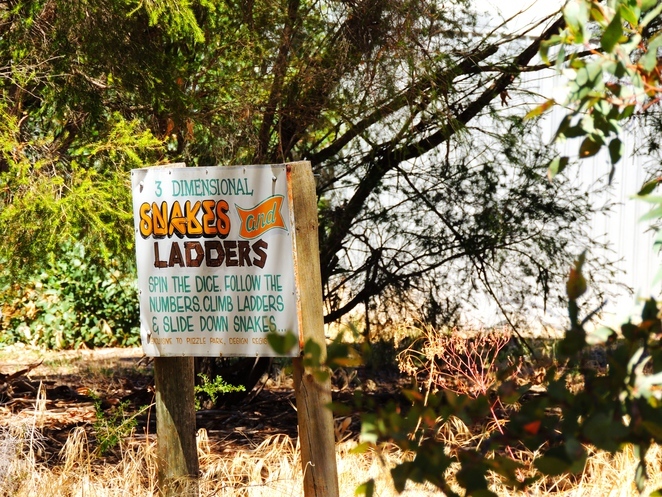 Part of the attraction of Puzzle Park was the high risk rides it offered - think of a massive ninety metre water slide, a flying fox, mechanical giraffe and horse, and Australia's largest maze with overhead walkways. Children and parents delighted in the range of activities, and the cost of non motorised rides was included in the admission charge. The park opened in 1985 and operated until 2007, at which time insurance premiums were so excessive as to price the park out of operation. Since then the equipment has lain dormant, the scrub and nature slowly reclaiming what it once lost. A retirement village had been touted for the site a couple of years ago, but there was no sign of any building work yet. 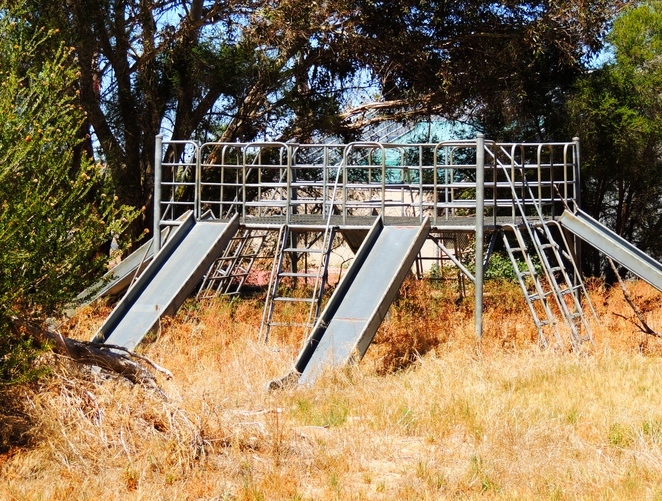 A different generation now explores puzzle park - the urban explorer or urbexer. It is surprising how much of the original equipment remains. 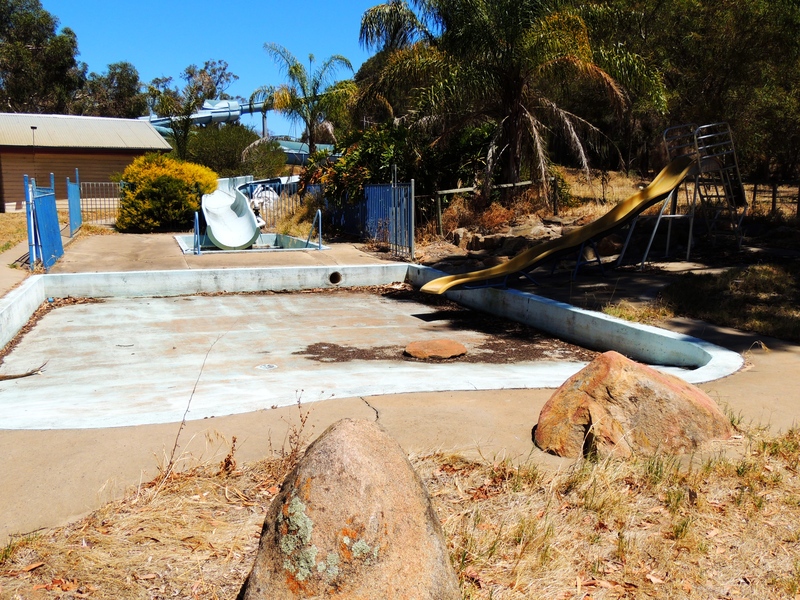 It's not hard to imagine the screams of children as they flew down the giant water slides, the music from the merry go round blaring, and the public address announcements about behaviour in the long empty pool. The entrance probably looks much as it did while the fun park was at its peak, but that veneer of excitement and colour fades rapidly inside the disused grounds. 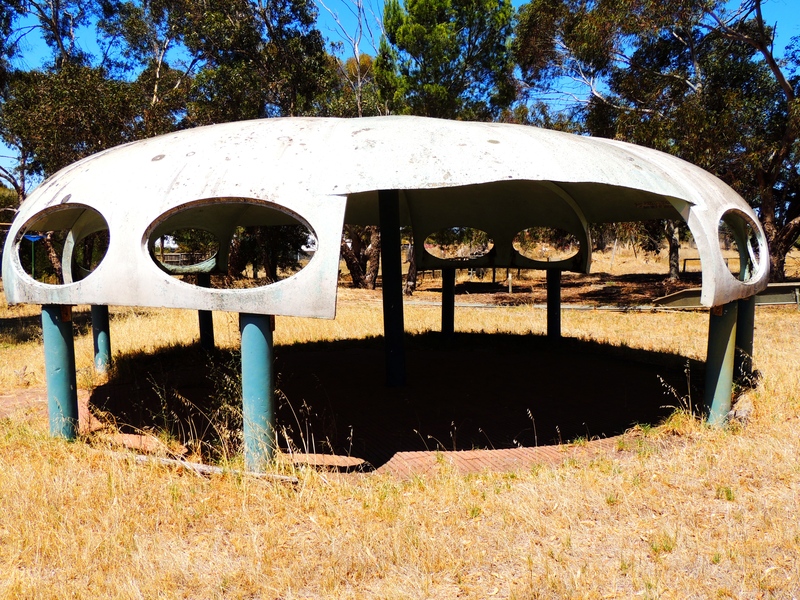 The shelter reminiscent of Derek Jolly's Futuro house in North Adelaide will inevitably disappear, leaving only memories with those who still grow older. Update 2014: Debbie Williams from Facebook group The Ghosts Within has filmed a video of Puzzle Park - watch it below. My mum and dad didn't have much money, but puzzle park was the destination my younger sister and I would request twice per year when they managed to put some money aside. I remember all these rides/equipment with fond memories. The butterfly house used to be next door too! Public liability killed Monash too - it's a shadow of it's former self now that the Occy Health and Safety fairies have been through. Thanks for the piccies - it was haunting viewing as I do remember going to Puzzle Park as a kid and having a great time. Especially that massive slide. We took our sons there - somewhat lack lustre and it needed upgrading then…1988…obviously generates some fond memories but it was pretty ordinary…this website is a start but when is SA really going to capitalise on all the wonderful things we potentially have to offer..??? 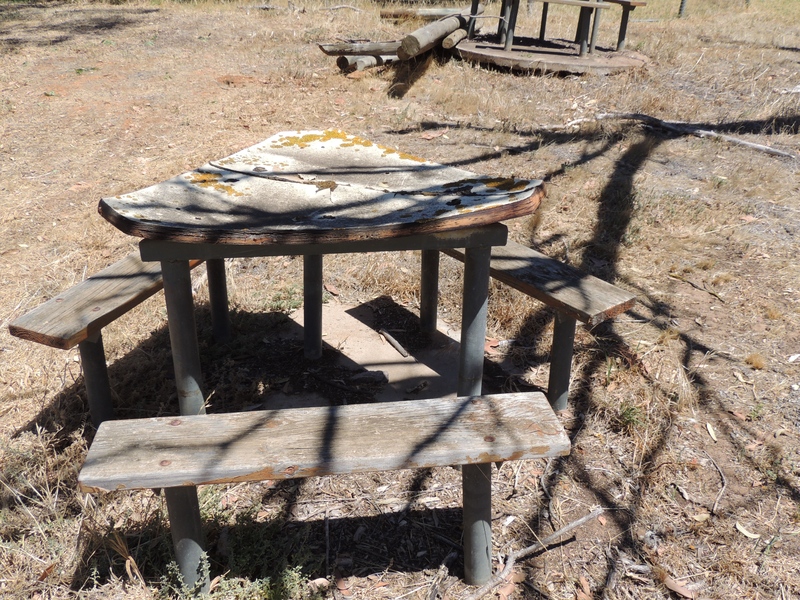 There was some safety concerns about some of the playground equipment at Puzzle Park too. 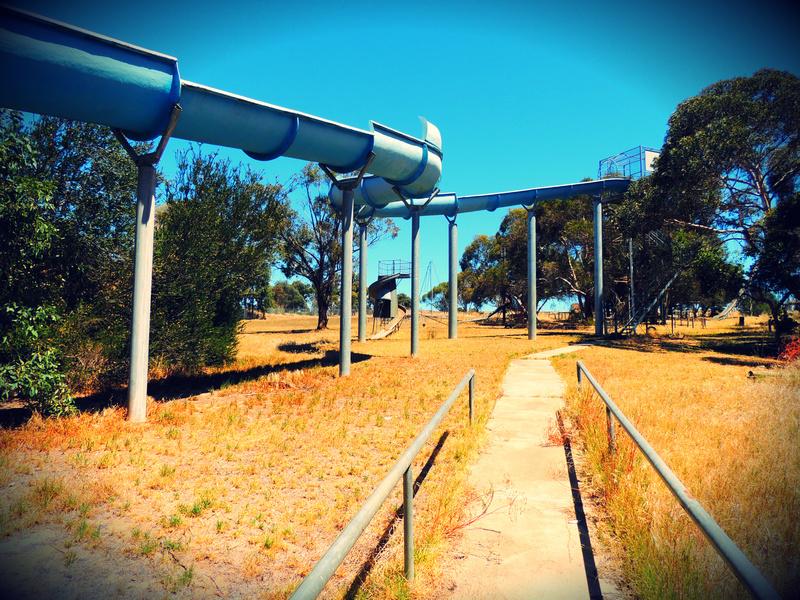 + It was risky going up on some of the slides etc in very windy weather. The wind can be exceptionally strong out there. Great article Dave. Painfully nostalgic read. Another sad loss. Would be interesting to see what eventuates here. With the local attractions including of course the Murray, and Monarto - it has potential - but for who and when, guess we shall wait and see. Great article ! Well, that was a blast from the past, bought back some nice childhood memories, thanks Dave. This is an example of the Americanization of our Australian social fabric. Dave, you do a great job in making S.A. known and accessible to the community! Brendan McGuire. 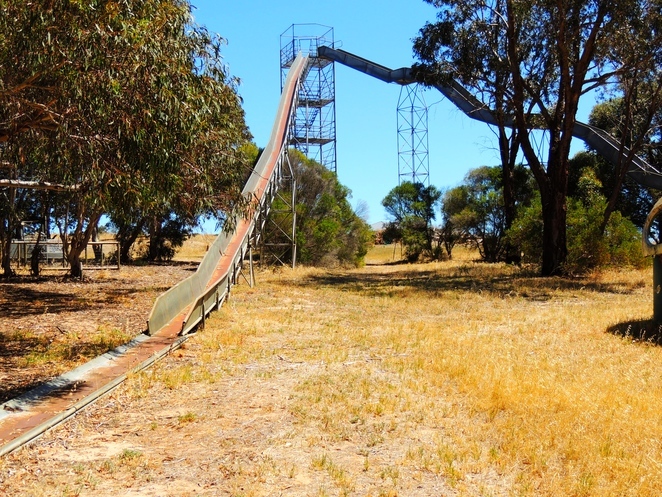 I took my kids there a few times and we had an absolute ball...pitty its gone now and south Australia has virtually nothing that is fun for kids any more. 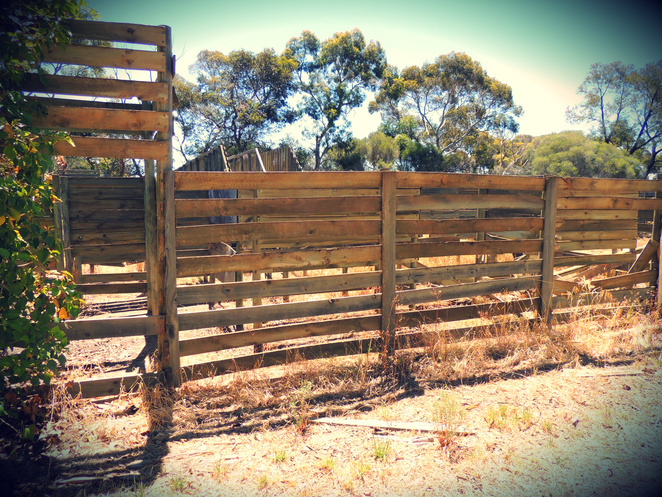 So many kids enjoyed the whole day out with family, full weekend trips together staying at the local caravan pk or motels and enhancing the Murray Bridge economy. Familys playing together and keeping fit. No electronic stay indoor hand held games seen here....I dont recall anyone being seriously hurt or dying playing on their slippery dip. Our whole generation grew up with this iconic playground and we all survived...What was the Insurance companies excuse? Massive Insurance corporations, making massive profits for the shareholdes. Look at what they have done, Not only closed down a nice carbon neutral, healthy living business that employed quite a few locals but it affected a whole town. Insurance companies greed has done a horrible thing. Thanks for this write up as was looking to visit as had been there 5 or 6 years ago and wanted to go again. Very sad as it was an awesome place for all to have fun! Well that bought back some fond memories. We visited there quite a bit every time there was a birthday, as it was a great place to enjoy the day. The kids of today have no idea what fun really is and most only Excersise there thumbs on electronic devises. What a shame. Great loss. Wow! what an awesome park that would've been. 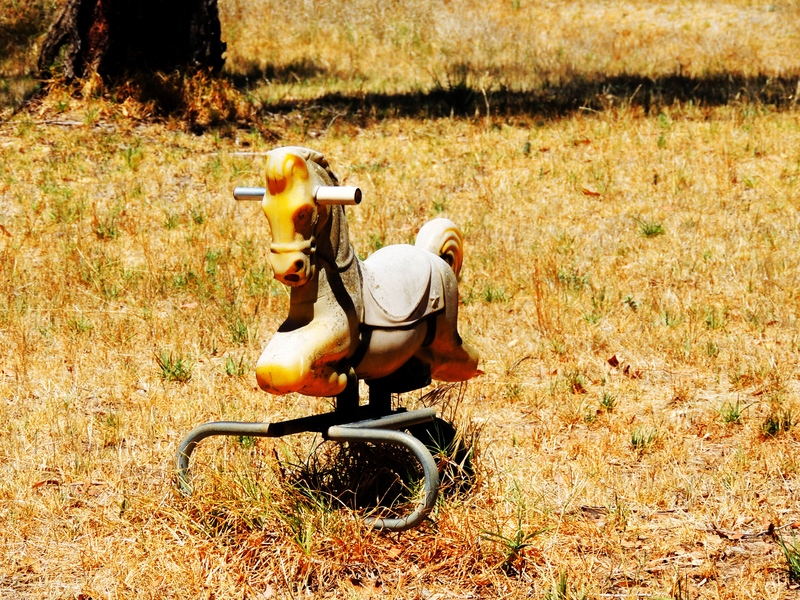 As a kid I begged with mum to take me, but since she didn't drive I never got to experience the great fun at the park. The stories I've heard from friends sums it up to awesome. I can still remember the advertisement on tv. Being school holidays now, I would take my daughter there and it'd give her exercise, laughter and help build confidence. Plus she'd have to put her electronic device away. It's a terrible thing that our kids today can't enjoy what we had. Why can't it be applied to enter park at your own risk? If you don't agree, you don't go in. I dunno, but I can tell you that 'fun' in Adelaide comes at a small fortune these days and there's time limits also, meaning you wish to spend a day, you pay more. Money, money, money that is all companies want from us now. If you want to see your child have fun pay the big bucks or miss out. It's so wrong. Every child should have the right to experience great fun like Puzzle Park or Monash and families shouldn't have to go broke todo it. Great article Dave thanks for sharing. We recently had a rare black-out in our suburb that lasted 3 hours. After an hour, we heard these weird noises outside. We investigated. It was the noise of children playing in the street. Riding bikes. Kicking balls. All the 'old fashioned stuff' that made Puzzle Park such a fantastic place. The power was out - so no TV's and the Batteries went flat on the rechargeable hand helds. Was beautiful to see so many kids interacting. Meeting. Keeping fit. Sucking up some sun. Wouldn't it be nice to see a way to regenerate Puzzle Park and bring back the 'good old days'? We found a great place for families & it's CHEAP ! It's called the Plaster Fun House at 244 Unley road, Unley. We went there during the school holidays and they had two specials one for $10 & another for $7. They both included the plaster mould, paints, glitter & the varnish plus a small packet of chips plus a fruitbox ! How can they do this ! it's great value & a great store to visit. Great staff. Highly recomended.